Quality has been the main pillar behind our immense success since our inception. Further, it has also enabled us to build a loyal client base across the country. 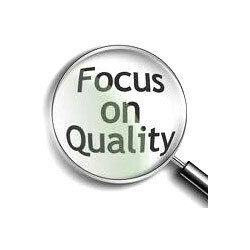 Hence, to assure quality in our endeavors, we follow total quality management throughout the production and post production stages. 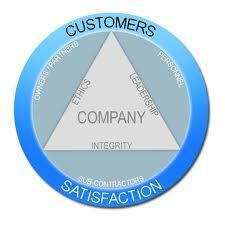 Our quality auditors are well aware of the changing market trends and clients demands. They ensure that all the processes are carried out as per the industry norms and final range of Polythene Sheets & Covers is in compliance with the international standards. Stringent checking of raw material used in the production as well as the final products enables us to meet clients demands effectively. Further, as per our quality assurance policy, we ensure that the packaging is also carried out using optimum grade material so that the products remain in fine condition till delivered at the clients’ end. Right from our inception, we have been following client centric approaches in our endeavor to meet and exceed their demands. Our commitment and focus towards offering optimum quality of Polythene Sheets & Covers to our clients have enabled us to build a vast customer base across the country. The sophisticated range of machines has been widely appreciated by our clients and has been the foremost reason behind our growth in the domain. Along with the quality range of Polythene Sheets & Covers, we ensure customer oriented approach like excellent after sales services including installation training, operational training and user manual. Moreover, our easy payment options and timely delivery schedule has allowed us to enhance their satisfaction level.